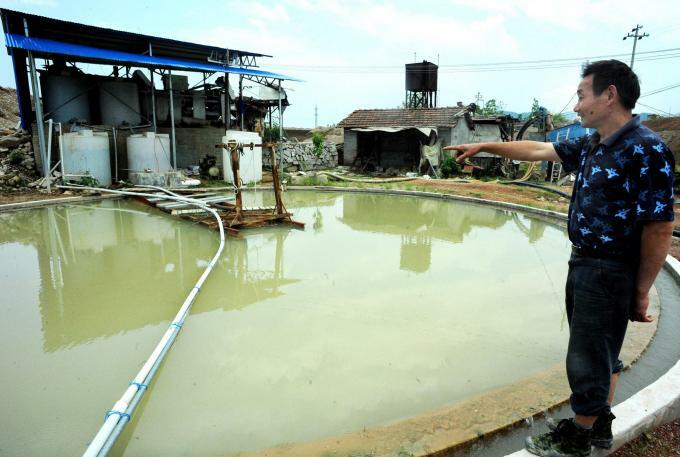 Blufloc AA5515 is working high performance in stone quarry water purification. Blufloc AA5415 offers a broad spectrum of products ensuring maximum performance and cost efficiency in these applications. The main characteristics of the copolymers are: Molecular weight: 12 to 16 million, viscosity at 5 g/l: >1500 cps. They relate to water treatment and mining industry. They are also used as thickeners in the petroleum, textile, cosmetic and other industries. 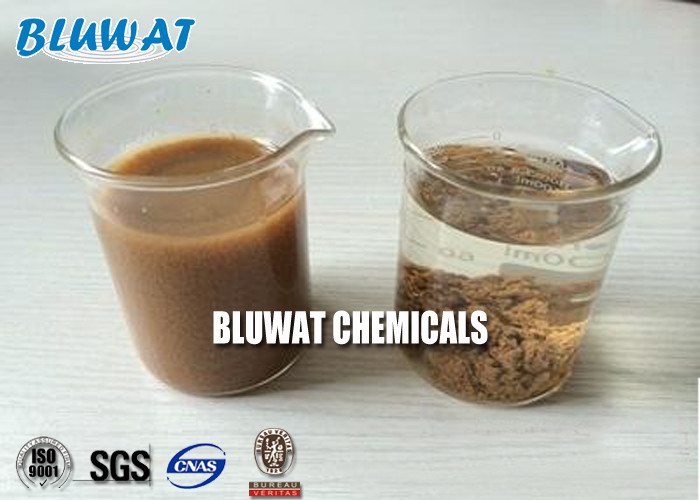 Bluwat Chemicals manufactures and supplies specialty water treatment chemicals for oilfield, wastewater treatment, potable water, mineral processing, sugar and paper industries. 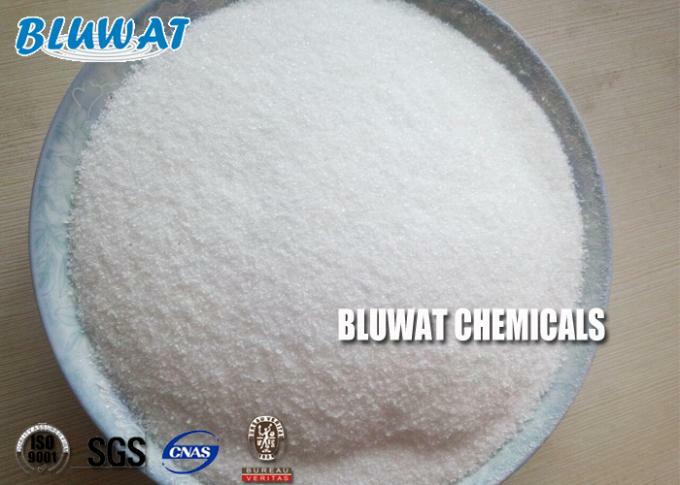 The Blufloc range of anionic, cationic and non-ionic flocculants and coagulants are produced in China, our company's headquarters is in Yixing. The extensive range of Blufloc flocculants and coagulants includes anionic, non-ionic and cationic charged polymers, all produced at varying molecular weights, so that all applications in the mineral processing industry are catered for. 1 High formation rate can increase dewatering capacity by 10-30 %. 2 It can make the cake moisture content lowers, reduce incineration fuel by 10-20 %. 3 Improved separability of cake from filter cloth can improved the filter life. 4 Blufloc AA5414 displays marked effects also on putrefied sludge, enabling stable operation..
5 Breakage of floc decreases and the separation efficiency at the decanter is improved. The dosage range of varies from 0.2 - 3.0 ppm depending upon the type of effluent and application. Advised to do jar tests for evaluating the functioning and approximate dosage. Put sample of effluent in a beaker and add it as designated, agitate for 1 minute at 100-120 rpm and then slowly agitate at 60rpm. Determine the floc properly at this time and note the sedimentation and clarity of top solution. Dissolving time: The time required to dissolve the flocculant varies according to the type of flocculant, water quality, temperature and agitation. However, most flocculants generally require around 1 hour of agitation to completely dissolve the powder. 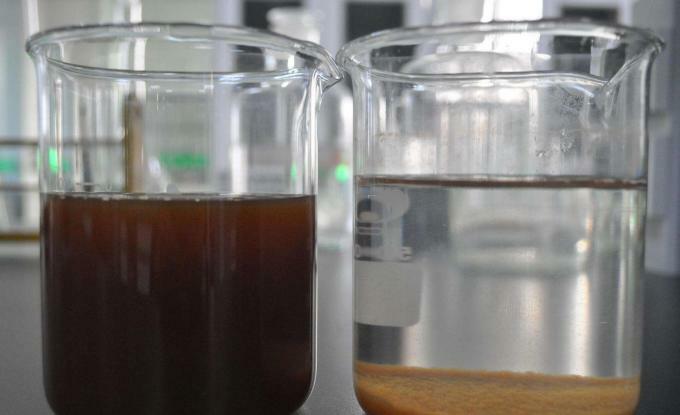 Incomplete mixture of flocculant or lumping may inhibit the performance of the flocculant. Agitation speed: The ideal revolution of the agitator is between 200-400rpm. A high speed agitator operating without reducing the revolution of a motor is not advised, since it may cut the molecules of the flocculant. An ideal agitator motor should be of 1HP for a 1-2m3 mixing tank. Dissolving concentration: Flocculants should be standardly be dissolved to 0.1-0.5% concentration. It is also effective to start dissolving at a slightly higher concentration, and then dilute the flocculant mixture immediately before use. 25kg net kraft paper bags or white PE bags on pallet, 18-20tons in 20' container, or 750kgs big bag and 15tons FCL. Stored in original packaging in cool and dry place.